Very RARE BRAIN DEAD 13 PS1 PLAYSTATION Complete with Promotional Key-chain ! 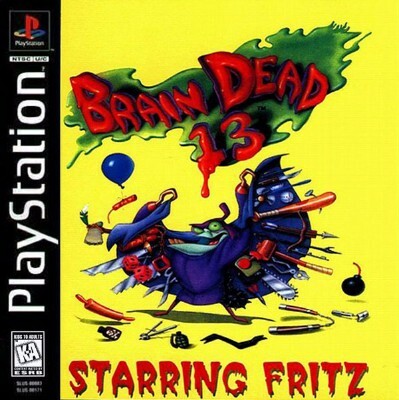 BrainDead 13 (Sony PlayStation 1, 1995) COMPLETE LONG BOX GREAT SHAPE! Brain Dead 13 (Sony PlayStation 1, One) RARE - 2 Discs, Original LongBox NICE!